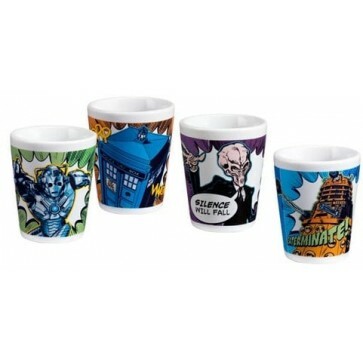 4-piece set features Dr. Who villans from The Silence to the Cybermen. Each mini glass holds 2 oz of your favorite beverage. Hand wash only.